Web-based, location-specific signage that's fresh and simple. Our hosted Concerto requires no in-house expertise, there are no software purchases, updates are automatic, and assigned users can run the show. While the Linux-based Concerto player adds screen control capabilities, no proprietary player software is required. No timelines, sequencers, or schedules to manage. Users submitting content pick start and end dates, and a moderator approves it. When used with the Concerto Linux player, screen on/off times can be controlled to save energy and screen life. Concerto can serve as a basic emergency notification system, or integrate and supplement an existing EMS deployment. Concerto's user community has translated it for use in a number of languages, and anyone can create a new translation. Concerto accepts most image and document formats for upload, including JPG, PNG, PPT, and PDF. Screens can have different themes, layouts, and content to cater to each location's needs. Concerto is more than a few graphics created centrally and broadcast. It's the visual expression of connected groups of people. Created not for corporate market segments or complex use cases, Concerto is simple, easily extended, and built for users. 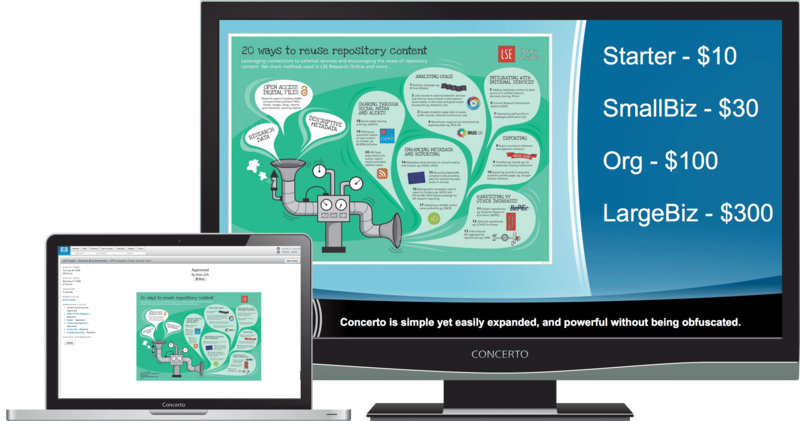 Concerto plugins — many developed by our community — allow new types of content and functionality. While we can tell you quite a lot about Concerto in these pages, a demo is the easiest way to see it yourself. Content can be created by anyone in your organization and distributed, highlighted where needed, and mixed with content feeds that users value. 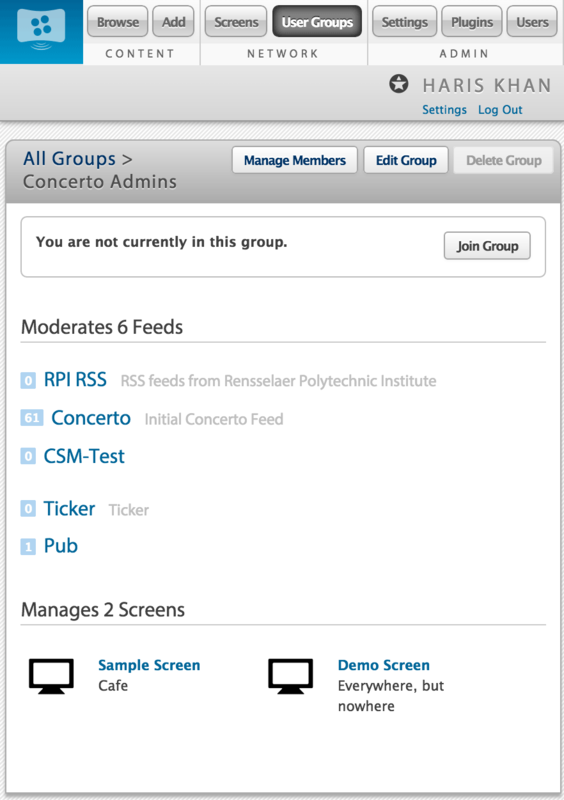 Concerto began life as a college web app. 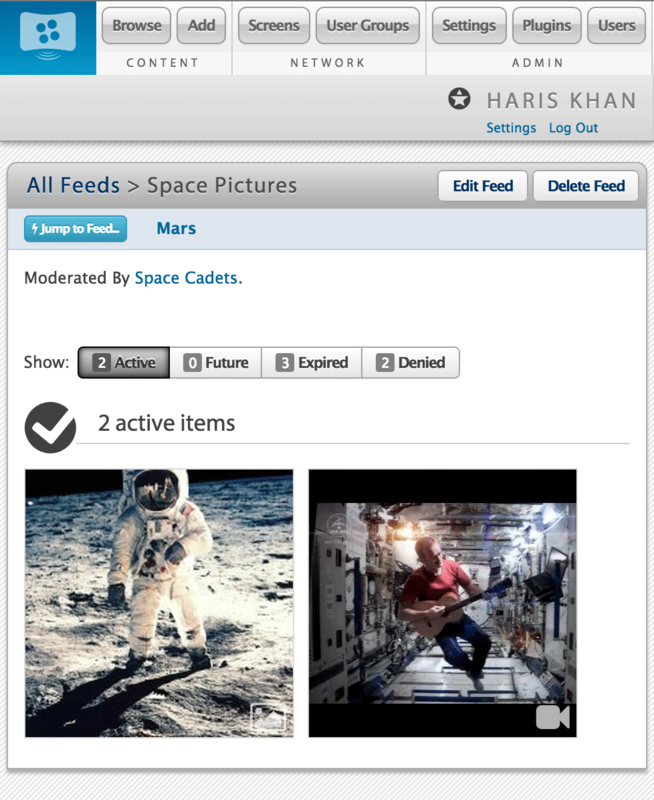 It's designed to delegate content control and management to make signage painless. Concerto can support news, weather, and calendar feeds. Its web-centric architecture allows the integration of most any data; from room schedules and help desk tickets to this week's productivity numbers. Concerto Plans for Every Size and Shape. Please select a base plan below to get started building your subscription.